At least one survivor of the Grenfell Tower fire was diagnosed with cyanide poisoning, BBC Newsnight has learned. 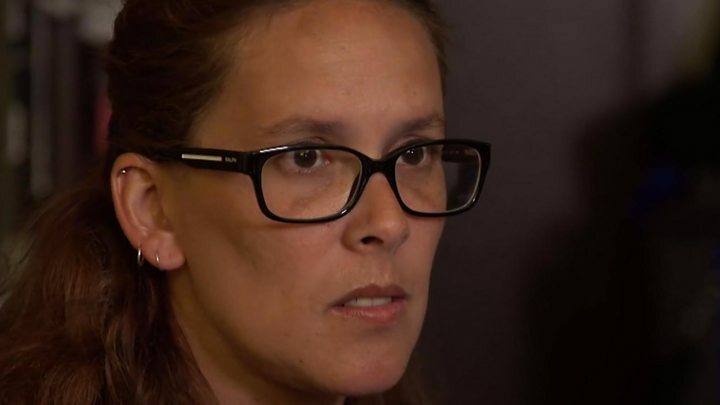 Medical discharge papers show 12-year-old Luana Gomes was treated for the effects of the highly toxic gas, which may have been released by burning of insulation or plastics during the fire. Her sister and mother were also treated for risk of cyanide poisoning. Mrs Gomes was seven months pregnant at the time of the blaze. Her unborn baby died after the fire. It has previously been reported that three Grenfell survivors were treated with a cyanide antidote but this is the first confirmation of a cyanide poisoning diagnosis. 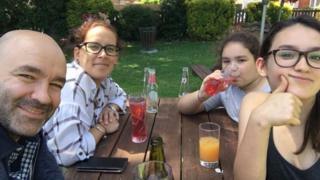 Andreia Gomes and her daughters were placed in medically induced comas when they were admitted to Kings College Hospital. Mrs Gomes was unconscious for four days, Luana for six days and her sister Megan was kept in a coma for a week. Luana's discharge record states that she was diagnosed with "smoke inhalation injury" and "cyanide poisoning". It also records that she received two doses of hydroxycobalamine "for cyanide poisoning". All three women were treated with a cyanide antidote though only Luana was diagnosed as having been poisoned. The BBC's environment correspondent Roger Harrabin said cyanide poisoning is relatively common following house fires as it is used in the manufacture of many plastics and is released when those plastics are burned. "It sounds dramatic because cyanide is known in popular culture as the poisoner's weapon," he said. "But cyanides are also produced by some bacteria, fungi and algae." Cyanide also occurs naturally in some seeds and fruit stones, eg those of apricots, apples and peaches. Victims of cyanide are effectively choked by the toxic gas. Symptoms include headaches, dizziness, confusion, vomiting and convulsions. At high concentrations it can cause rapid death. "The effects are really quick... you could die within seconds depending on the level of exposure," says clinical toxicologist and emergency medicine and critical care consultant Dr Johann Grundlingh. "When you breathe in oxygen normally, your cells produce energy. Cyanide blocks your capability to produce energy from oxygen." Mrs Gomes feels deep anger towards whoever was responsible for deciding to place cheaper, less fire retardant cladding on Grenfell Tower. "You just killed my son," she said. "If it was in a normal situation, I could have gone out. And he was seven months. He could have survived... But because of the conditions, he passed away." 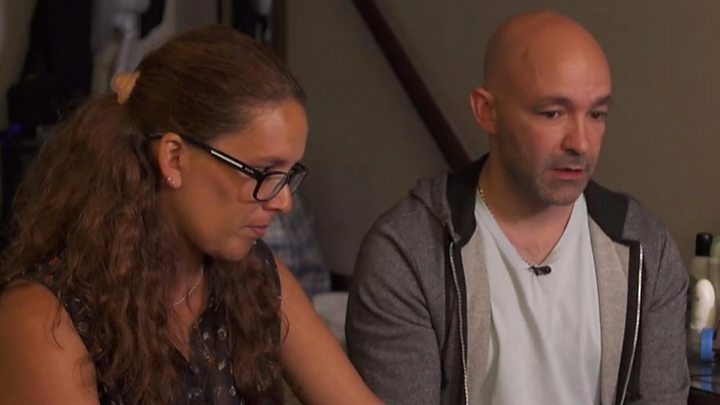 Her husband Marcio Gomes told BBC Newsnight he decided to make a run for it with his family at around 04:00 when flames began to engulf his bedroom in their 21st floor flat. He described how he and his family had to step over a number of bodies as they groped their way, gasping for breath, down the smoke-filled staircase. "What I didn't account for was the amount of bodies we had to trip over or step on. We were stepping on people's arms or legs." The family was taken together to Kings College Hospital. Only Mr Gomes, who was also treated for smoke inhalation, remained conscious. He said he realised, even though he was not told explicitly, that their unborn child, who the couple had already named Logan, had died. "Andreia didn't know what was going on because she was in an induced coma. My daughters were all in intensive care in induced comas as well. "I knew something was wrong straight away when they told me in these scenarios they take the mother as a priority. So I broke down, because I knew what they were saying, without saying it. Then later on, they said the baby had passed away." It is not known what produced cyanide in the Grenfell fire. It may, however, be related to the foam insulation installed on the exterior of the tower, which is known to produce the gas when burned. The cladding system added to Grenfell Tower in a recent £10m refurbishment has been the subject of scrutiny and speculation since it emerged that its outer layer was a less fire retardant product containing plastic between layers of aluminium. The aluminium and plastic panels covered a layer of foam insulation installed to improve the building's energy efficiency. "Plastic foam insulation is effectively made from crude oil and so it's going to combust in more or less the same way as any other petrochemical," says Richard Hull, Professor of chemistry and fire science at the University of Central Lancashire. "It's got a lot of nitrogen in it and therefore when it burns it produces both carbon monoxide and hydrogen cyanide." A spokesman for the British Rigid Urethane Foam Manufacturer's Association (BRUFMA) - the trade body which represents makers of insulation of the kind used at Grenfell Tower - said no assumptions should be made about what materials created toxic gases in the fire. "There is no evidence to suggest that PIR (rigid polyisocyanurate) presents any special hazard in terms of toxicity. "In tests on buildings with PIR panels, carried out by the UK Fire Research Station, no additional hazard from smoke or toxic gases was noted compared to those due to the burning of other buildings."